From AIS Bulletin #245 July 1982 Introducing BETTY COOPER. 48". A compact, fully fonned and lightly ruffled cool blue. The strong golden orange center of the falls is heavily lined brownish purple. 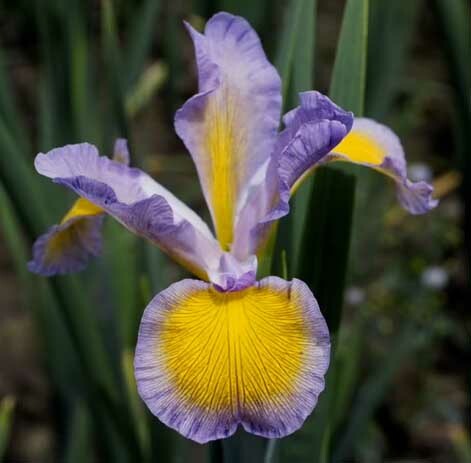 Named in honor of our multi-term President of the San Diego-Imperial Counties Iris Society. Highline Lavender X (Desert Seagold x Imperial Flight).EC '81. $15.0. Cordon Bleu Farms.